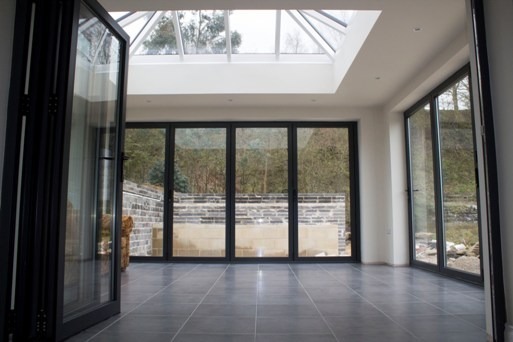 Bi-folding doors are no longer just seen as an addition to large, grand and elegant homes across the Yorkshire region, instead now featuring in the average home with more and more people taking advantage of their qualities. Such is their appeal, new developers are now adding them in to apartment blocks, townhouse estate and even 3-4 bedroom house as standard, using them to help make potential buyers sign on the dotted lane. In areas such as Leeds, Bradford and Huddersfield this has been very noticeable, and a development in the Shipley area of Kirklees applied them only a few months ago. The new building features two 4 pane bi-folding doors which opens to the right on both sides, fitting into a space just under 3.3m. bi-folding doors are available up to six panes wide and can be opened to the left if required. Due to the work being part of a larger project, our team had to install the doors quickly and with minimal disruption as there were other construction workers on site the same day. This was an important part of the build as it ensured the whole property was water tight and that other tradesmen could begin their work. 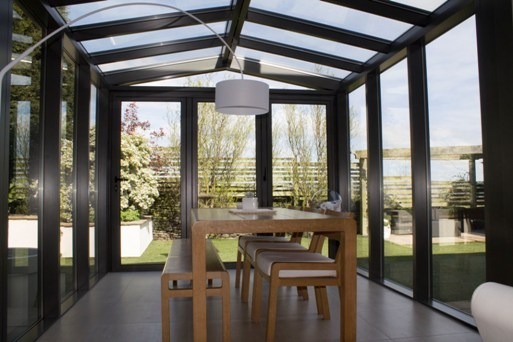 As well as featuring the very best Beaufort aluminium system, the bi-folding doors also have hi efficiency glass which has great energy retention and reflection capabilities, maintaining a much better internal temperature all year round. Despite these doors being on the bottom floor, where access would be easier, security is never compromised with Clearview products. In accordance with many security standards, all locks are Anti-Bump, Anti-Pick, Snap Secure and Kitemarked for ultimate protection. 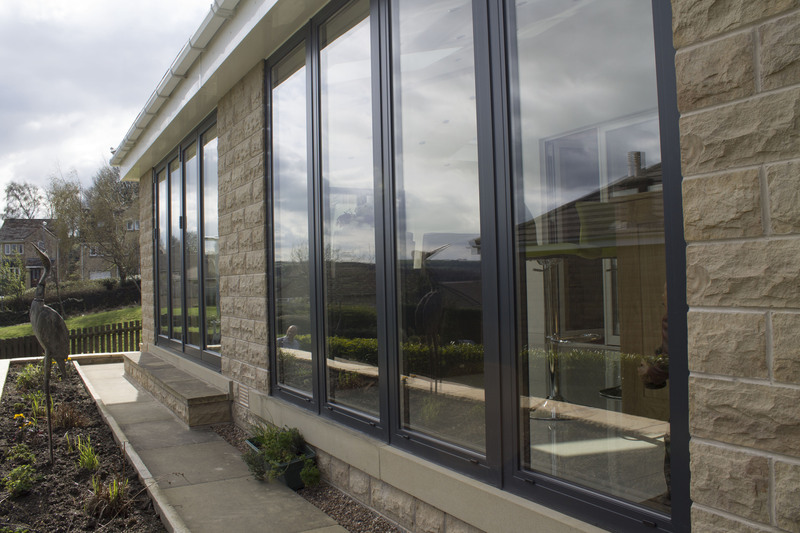 There is also a 10 year guarantee on all our products to ensure that quality is never compromised and you do not have to worry about your doors. 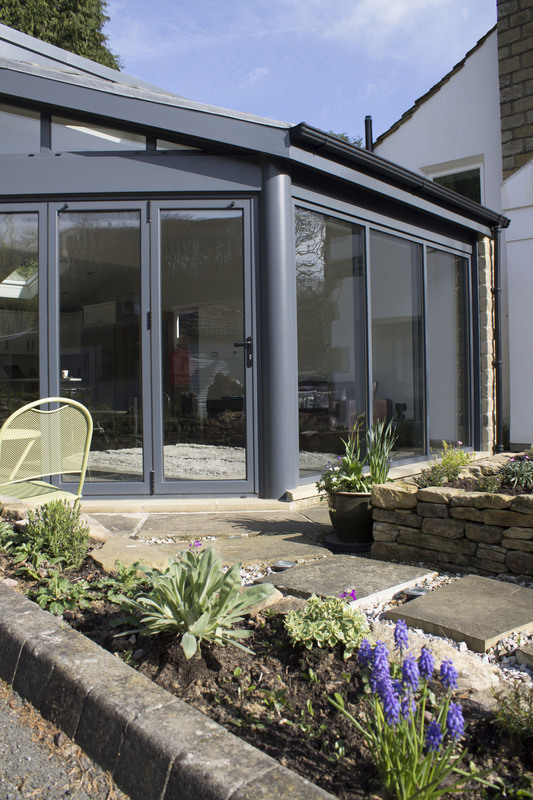 Should you be considering adding bi-folding doors to your property in Yorkshire and would like to discuss the logistical aspects of this further, please do not hesitate to call our team on 0800 1357167. We have experienced staff on hand to talk through your requirements on a daily basis.